Running around the park, with your dog securely tethered next to you, is one way to get in some exercise. But other than repetitive laps, have you ever thought of trying different ways to exercise your 4-legged friend? To prevent your dog from developing health problems such as arthritis or obesity, physical activity is required in order to maintain good health. Running a couple of laps may be enough exercise for you, but it may not be the case for your pet, who most likely is cooped up at home majority of the day. This is especially true for breeds that are built for high intensity work, such as Border Collies, Labradors, German Shepherds and more. Off-leash training is a highly efficient way to get the adequate amount of exercise your dog needs. Without any restraints holding them back, they can freely run, jump and play as much as they want. 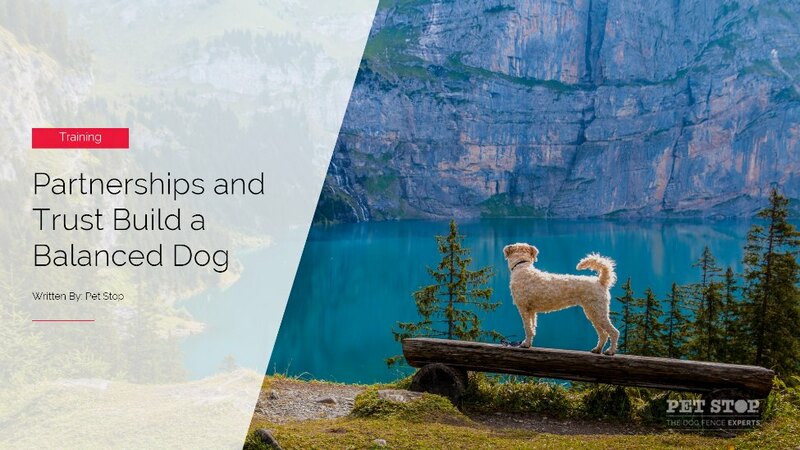 Playing fetch, swimming, hiking or even letting your dog play with other dogs off-leash are some of the different ways your dog can exert energy that they had pent up all day. Your pooch will be coming home relaxed and ready to hit the hay. Stepping out of our comfort zone, and entering into new territory is vital to growth and improvement. So why should we inhibit that on our furry friends? With their little wet noses made to investigate their surroundings, to their 4 padded paws made to endure any terrain; they are destined to be explorers. However, when we tie our dogs on a leash or lock them up in a cage, it is imposed on them that they are subordinate to us. By restricting their freedom, we are expressing to them our distrust in them. This does not allow for them to grow further on an intellectual and emotional level. In some cases, metal issues such as aggression, depression, and disruptive behaviors are the result of such treatment. Training off leash allows our 4-legged friends to experience freedom. Just like any sentient being, it is liberating to have the opportunity to learn our true potential and boundaries by making our own choices. When training off the leash, dogs begin to develop analytical, strategic and social skills. Allowing them to explore, they become very aware of their surroundings. Learning through this technique can nurture an independent, alert and responsible canine. Now that we’ve learned how essential physical and mental health is in training a well-balanced dog, we can now move on to the most important benefit of off-leash training: Partnership and trust. 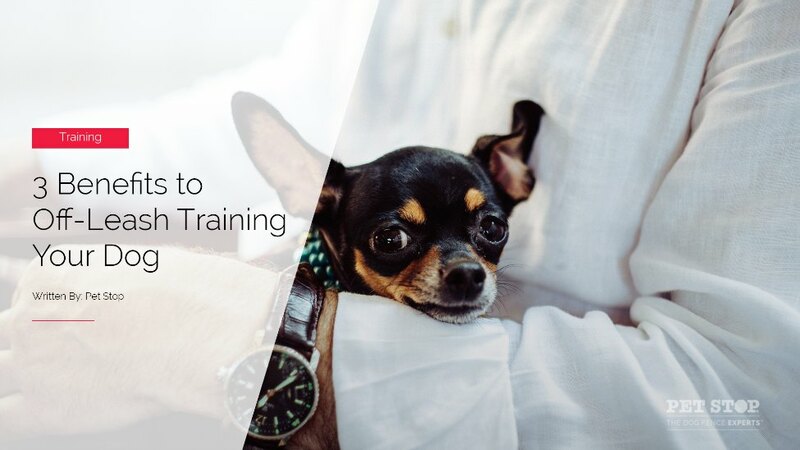 In the chance that your dog may run off into the streets or encounter an emergency situation, it is absolutely necessary to build that strong partnership through training. 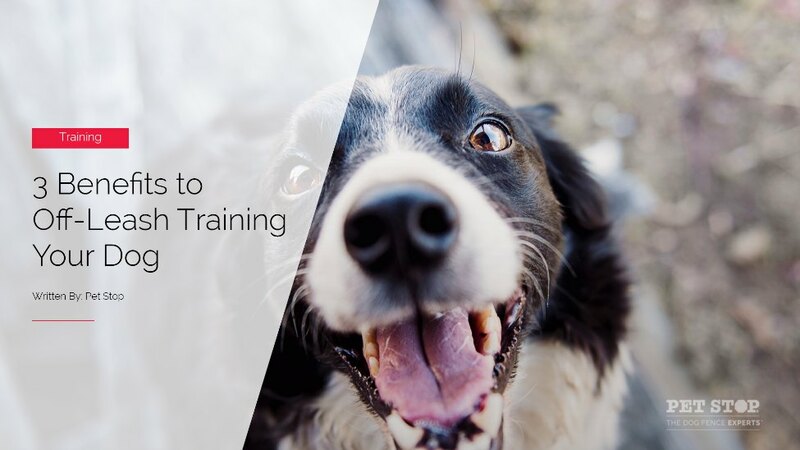 When you choose to train your dog off-leash, you are also making the conscious decision to spend time to teach your dog important commands necessary to keep him safe. Vital commands such as “come,” “heel,” and “stay,” are great to start with that can protect him, and others around him, from danger. With intense and repetitive training, you’re providing consistent interaction to build a trusting relationship. Free from restraints and guided through positive reinforcement, off-leash training is the best way to spend quality time with your dog because they are learning and growing directly through you. For the end result, you will have built a strong and loyal bond between your furry best friend.